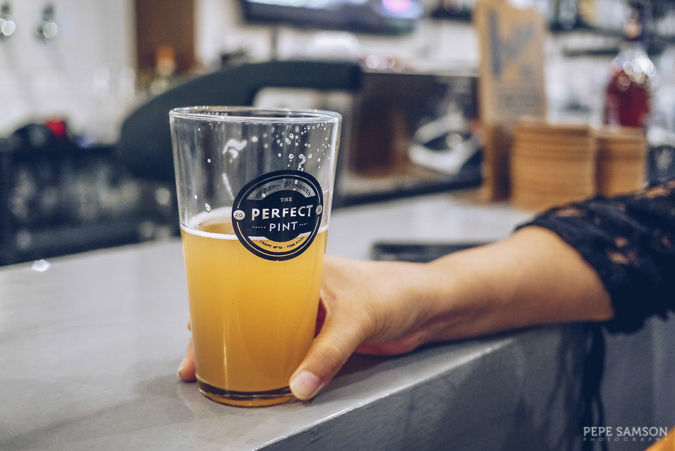 You’ve heard it from me many times: I love The Perfect Pint. 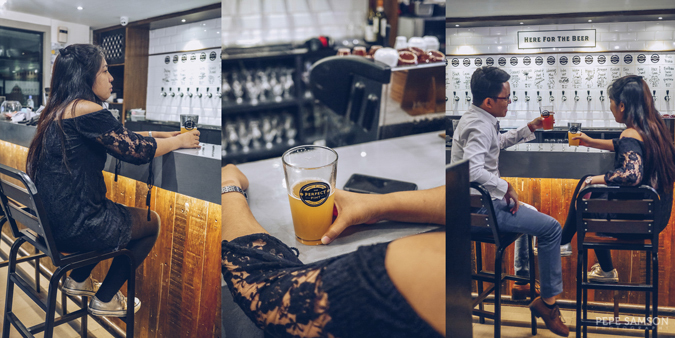 Ever since it opened in Bonifacio Global City 3 years ago, it has been my go-to place for local craft beers. 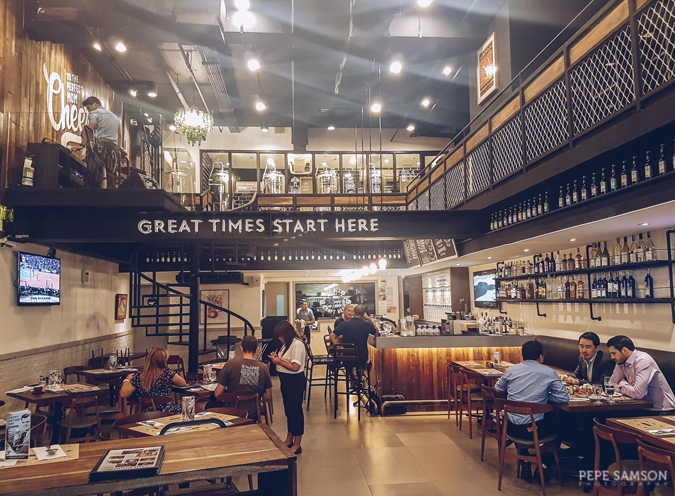 Actually, it was also responsible for introducing many of Manila’s diners into the craft beer scene, and people who used to go out for the usual San Miguel and nachos started appreciating IPAs and wheat beers alongside their favorite bar grub. 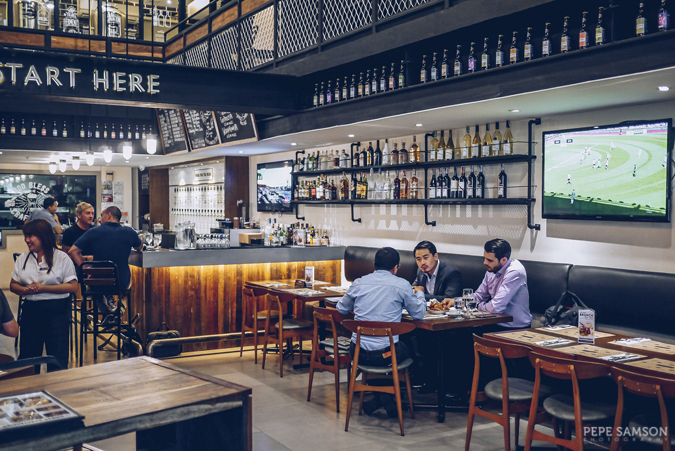 In a way, this bar started the trend, and soon more establishments popped out around the capital. 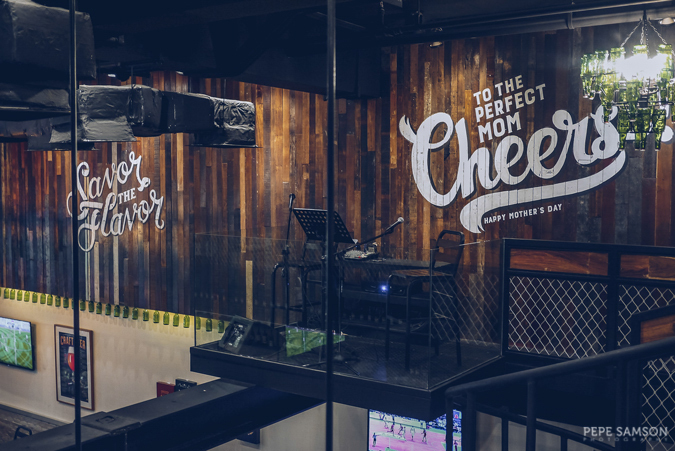 Its second branch opened in Alabang last year—a bigger space with its own brewery on the second floor. This one is bigger and more cheery than the original one in BGC, so when I heard that the pub is planning to move from BGC to a new home in Greenbelt 2, I wished that it would have the same feel as the one in Alabang. And yeah—it does! The GB2 branch has opened last April—bigger, better, and yes, nearer! LOL! I just love this branch more—very spacious, high-ceilinged, with a lot of seats distributed in two levels, and a brewery as well! 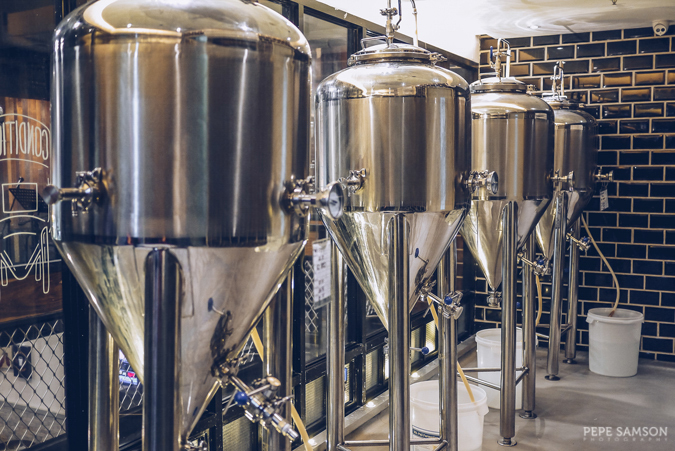 Fans of craft beer would be delighted since their beer would surely be freshly made. In addition, the second level can be rented as a private space for those who are looking for an exclusive area for gatherings and celebrations. 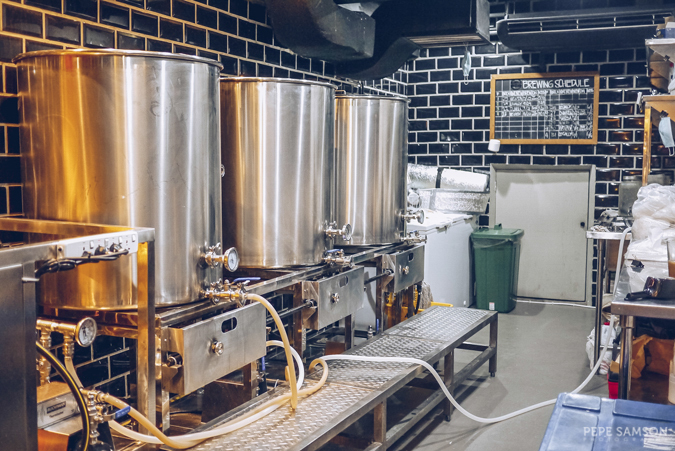 Check out their brewing process here. Along with the big move, The Perfect Pint has also presented an exciting new addition to their menu: brunch! 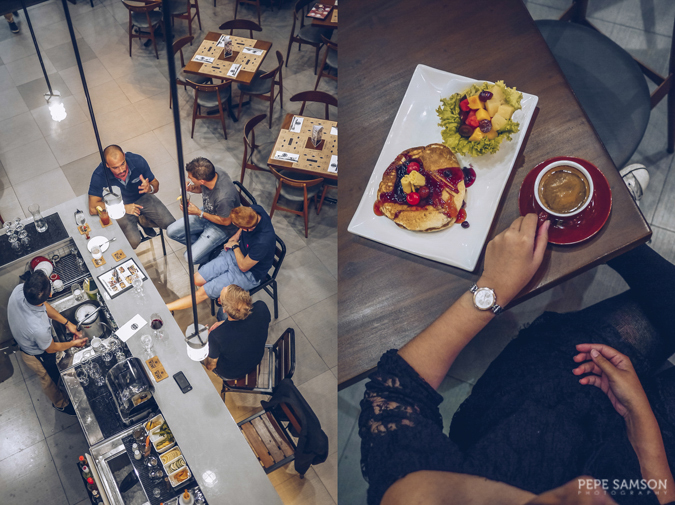 Those within the vicinity can enjoy brunch sets available from 7AM to 3PM on weekdays. 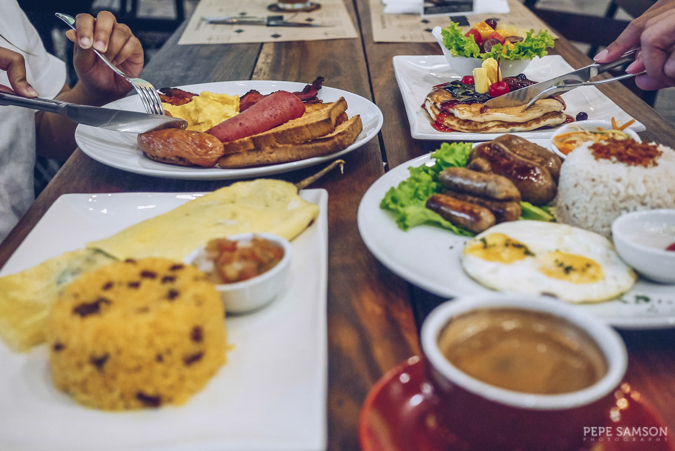 This is good since diners can also try these for lunch—and whether you like your eggs with coffee or craft beer, it’s totally up to you! I loved the Longganisa Bonanza, a filling plate heaped with 3 types of longganisa, garlic rice, and two eggs. 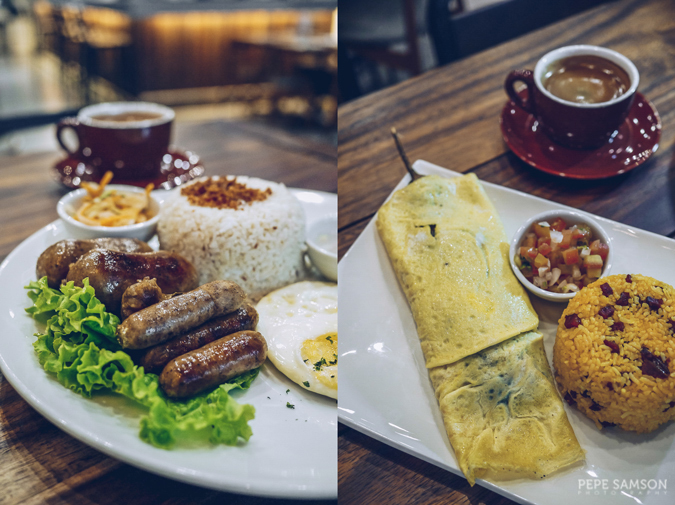 For lovers of Filipino breakfast, this is a must-order. 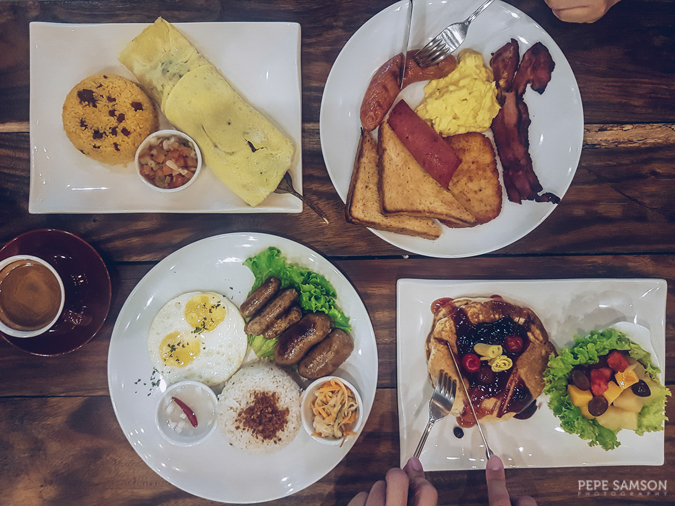 Likewise, the Eggplant Omelet is an awesome choice, especially for those who are looking for a lighter but equally delicious option. 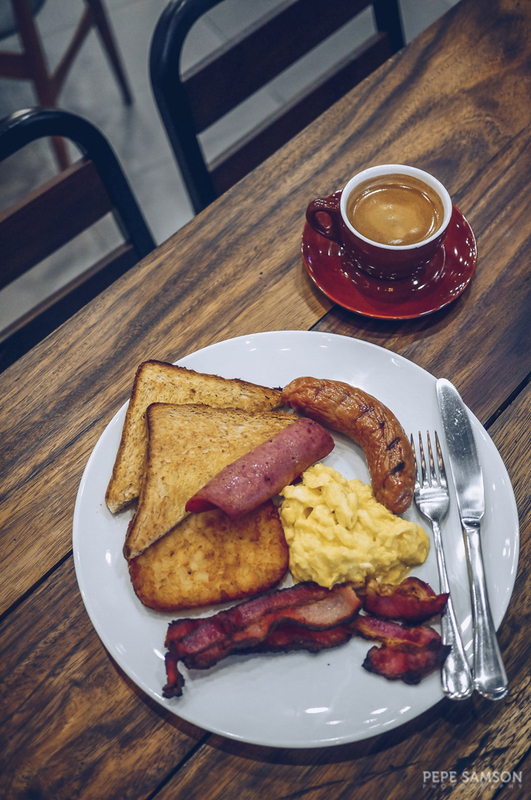 If you seek a loaded plate, get the American Breakfast consisting of sausage, hash brown, ham, two eggs, toast, and of course, bacon. The sausage is incredibly flavorful, reminding me of the ones they serve from their regular menu, which is simply perfect with beer (who cares if it’s brunch time?). 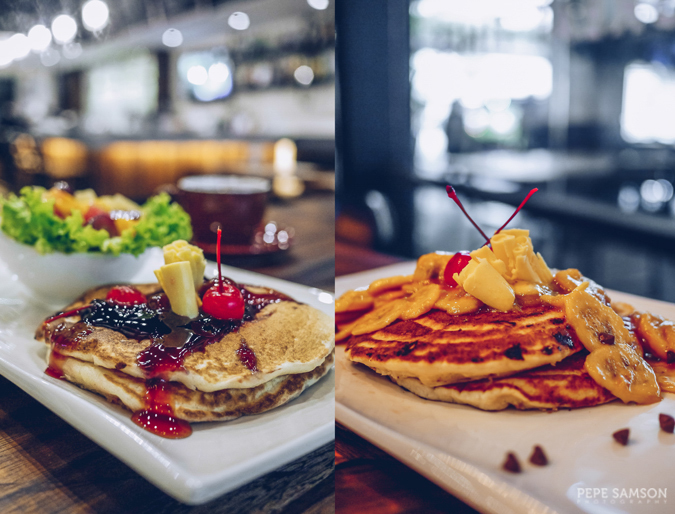 But if you’re craving for something sweet and indulgent, get the Mixed Berries Pancakes served with delicious fresh fruits. The pancakes are THE BEST. Seriously. You have to try them yourself for you to believe me. The Choco Chip Pancakes topped with banana flambé is EVEN BETTER; the sweetness level is just right and not cloying at all! 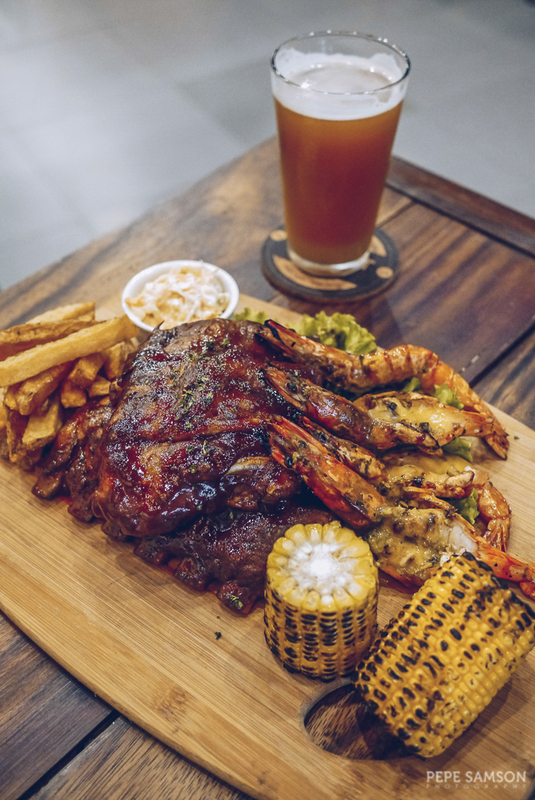 Of course, The Perfect Pint’s specialties are still in place, like the Heap of Bacon, Kapal Face (Pork Face), Stinky 5-Cheese Pizza, Truffle Pizza (my favorite), and Oyster Sisig. 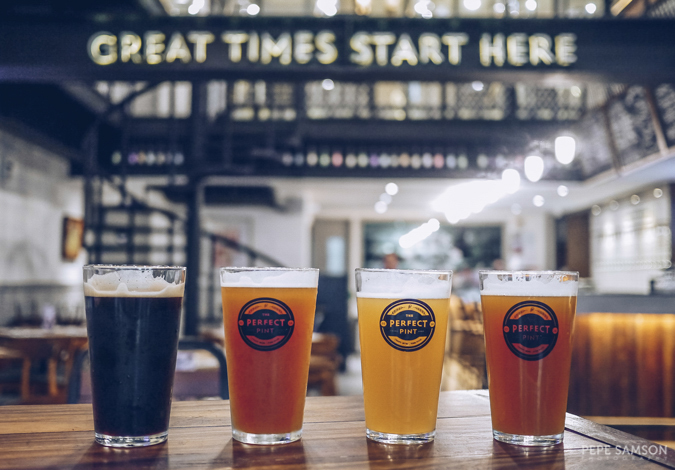 Regulars—and first-time diners of course!—can enjoy them with their craft beer of choice, and as always, if you’re clueless what to get, just ask the staff’s recommended pairings. The Perfect Pint has a lot of new home brews on tap, like the Coco Loco Porter which tasted of toasted coconut; the refreshing yet potent Sunburst Saison; the Wisdom of Crowds IPA (for those who like it bitter); and the fruity and slightly hoppy Evolve Sour Haze IPA. 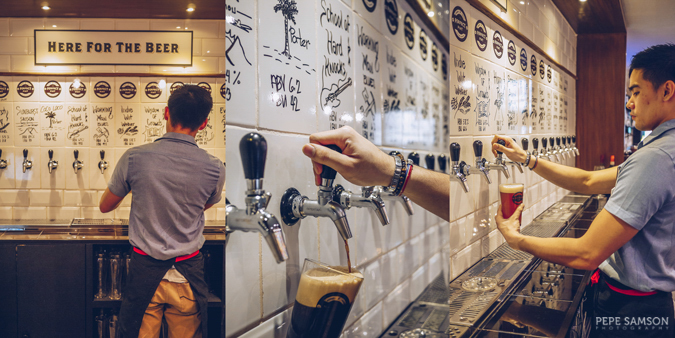 But take note: this branch offers only their homebrews on tap. Selected beers made by other breweries are only sold by the bottle. 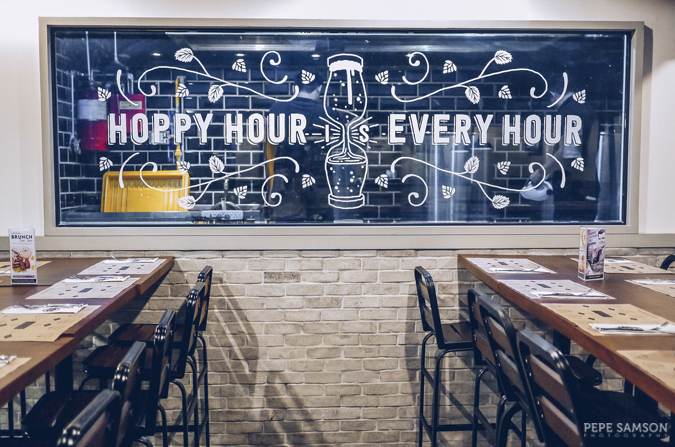 This branch not only brings great food selections to more diners, but also a lot of fresh beer ideas. Cheers and congratulations! 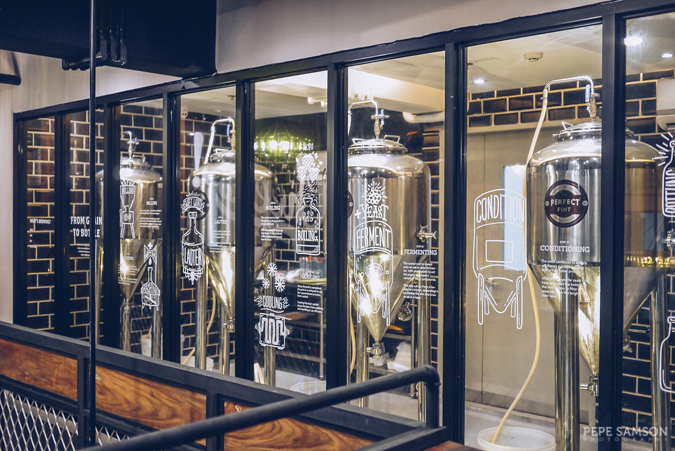 Read also: The Perfect Pint is Now in Greenbelt 2, Makati! 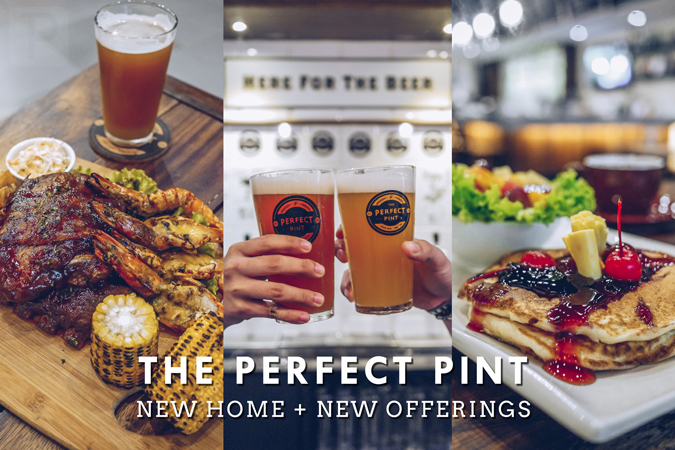 Have you been to The Perfect Pint's new location? What do you think about it? Which is your favorite homebrew? Share your comments below!